Synopsis: Ruth loves to bake cakes. When she is alone, she dreams up variations on recipes. When she meditates, she imagines herself in the warm, comforting center of a gigantic bundt cake. If there is a crisis, she bakes a cake; if there is a reason to celebrate, she bakes a cake. Ruth sees it as an outward manifestation of an inner need to nurture her family—which is a good thing, because all of a sudden that family is rapidly expanding. First, her mother moves in after robbers kick in her front door in broad daylight. Then Ruth’s father, a lounge singer, who she’s seen only occasionally throughout her life, shatters both wrists and, having nowhere else to go, moves in, too. Her mother and father just happen to hate each other with a deep and poisonous emotion reserved only for life-long enemies. Oh, yes indeed! Add to this mix two teenagers, a gainfully employed husband who is suddenly without a job, and a physical therapist with the instincts of a Cheryl Richardson and you’ve got a delightful and amusing concoction that comes with its own delicious icing. One of Jeanne Ray’s specialties is giving us believable, totally likable characters, engaged in the large and small dramas and amusements of life. Eat Cake is whimsical, warm, and satisfying. 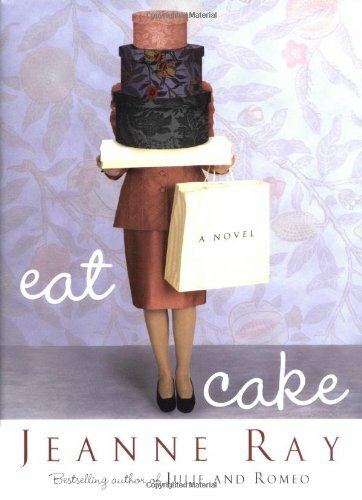 Eat Cake is Jeanne Ray at her best. Pull up a chair and eat cake! About the Author&colon; Jeanne Ray works as a registered nurse at the First Clinic in Nashville, Tennessee. She is married and has two daughters. Together, she and her husband have ten grandchildren. Jeanne is the bestselling author of Julie and Romeo and Step-Ball-Change.